Lower fat but high in flavor. 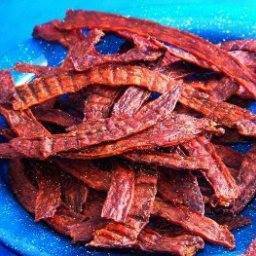 This homemade jerky fills that, "Need to gnaw" that so many folks have during outdoor activities. Less expensive and tastier that the "store bought" kind. This version is low-carb so it's diabetic friendly.